The use of 3D printing for construction and architecture is a rapidly developing area. 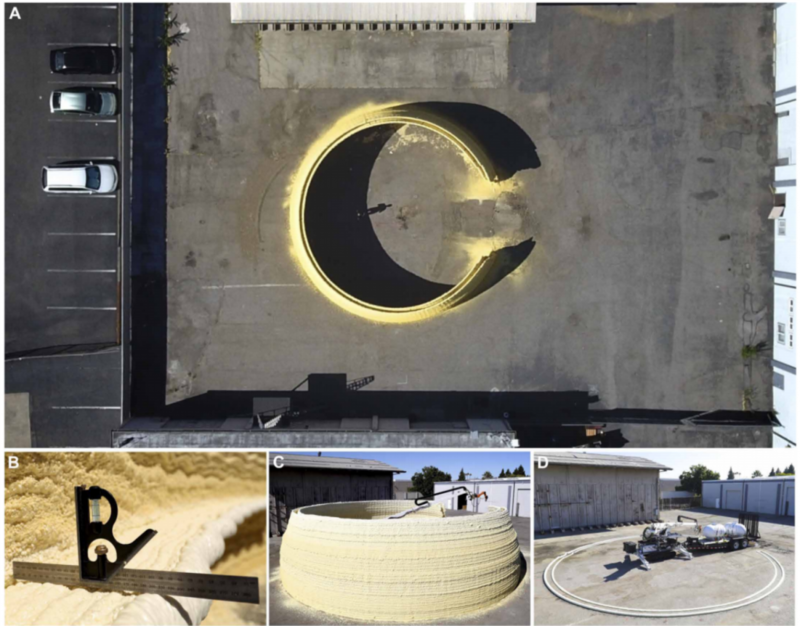 Additive manufacturing is used not only in the design stages of construction projects, but is also bringing remarkable full-scale structures to life. This article highlights some of the possibilities that 3D printing brings to the built-environment. These include 3D printed houses, buildings, bridges and infrastructure. The 3D Housing 05 project from CLS Architetti, an Italian architecture firm, is a sustainable, 3D printed house. 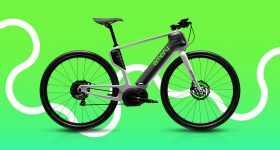 The project was showcased at Milan Design Week 2018. The 100 square-meter single story house was 3D printed by CLS, working with UK design and engineering firm Arup Construction took one week and took place in Milan’s Piazza Cesare Beccaria. A 3D printing robot arm, supplied by Dutch 3D printing construction company CyBe Construction, was used for the construction. 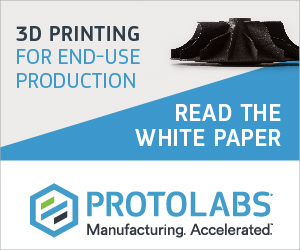 This results in a more sustainable production than the methods of traditional construction, as 3D printing specifies the exact volume of each material, wasting fewer materials and lowering the costs of production. Another alluring prospect present in the 3D Housing 05 project, was the elegance of the overall design achieved through the help of 3D printing. 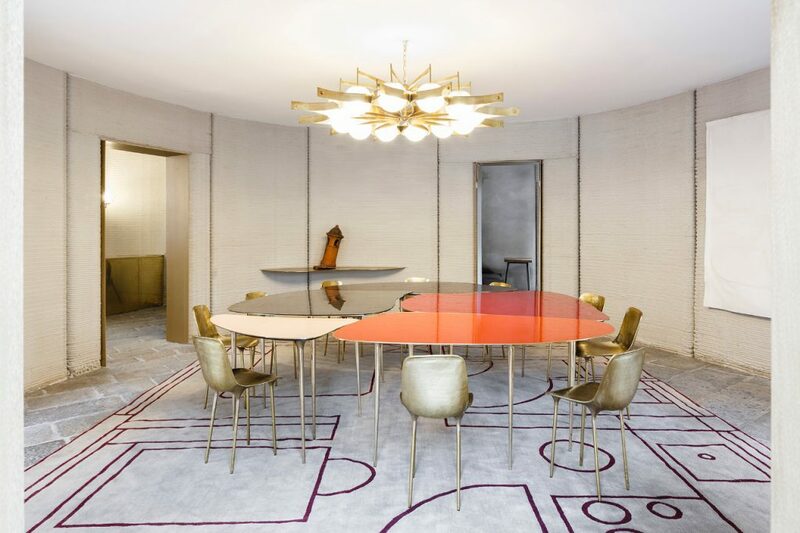 Integrating contemporary and organic shapes through the use of the printer, the house features fully-furnished sophisticated rooms and marvelous accents like hand-carved bathtub and brass countertops. 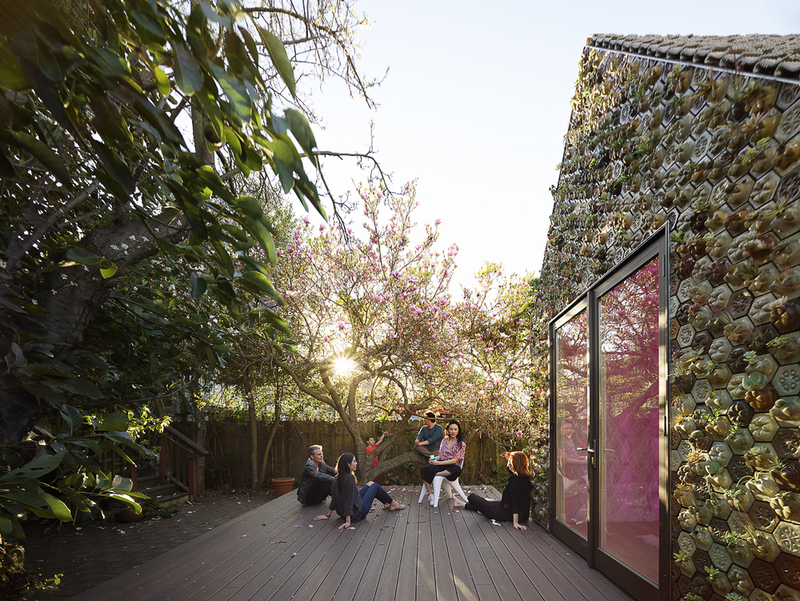 By providing an exquisite vision for potential developments in housing design, the 3D Housing 05 project won Milan Design Week’s the best sustainability prize. 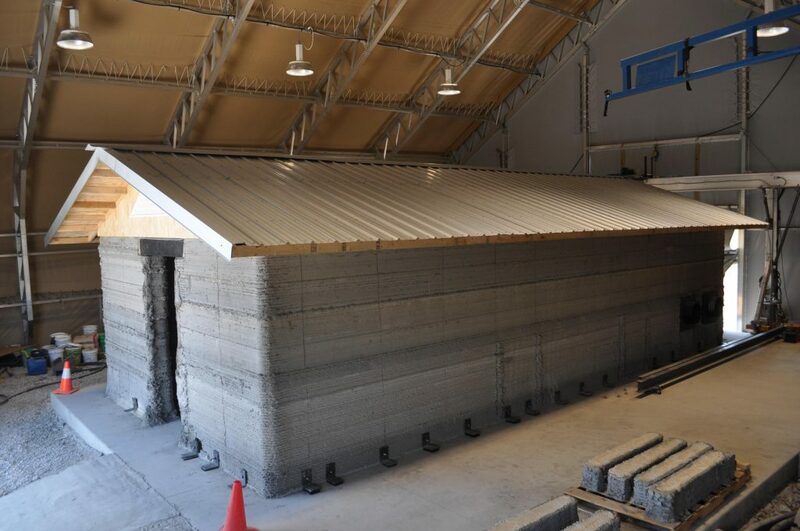 In Champaign, Illinois, the Construction Engineering Research Laboratory (CERL) has successfully constructed its first 3D printed barracks hut. Called the B-Hut, the 512 square-feet spanning concrete barracks was produced in CERL’s Automated Construction of Expeditionary Structures (ACES) project. A semi permanent shelter, the B-Hut was produced using a 3D printer on a sliding metal gantry, as opposed to using moving robotic arms, which gives design freedom, but typically operates more slowly. According to Dr. Michael Case, CERL ACES programme manager, “unlike previous efforts, ACES can use up to 3/8 inch aggregate in the concrete that is used” and “in addition, the ACES project paid particular attention to methods of reinforcing printed concrete, both horizontally and vertically.” This method saves manpower requirements by 62 percent. 3D printing the new B-Hut. Photo by ERDC. ACES also ameliorates the process by using cement instead of traditionally used plywood. Cement is locally sourced and reduces the cost of shipping building materials by 50 percent. With all these advancements and further potential for things like disaster relief, CERL has installed a Cooperative Research and Development Agreement with North America’s Caterpillar Inc, which will help CERL with commercialization. Within San Francisco’s 3D Printing MAKE-tank, design company Emerging Objects utilises experimental materials in its designs like in its newest project Cabin of Curiosities. 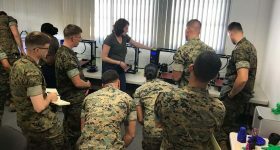 Founders Ronald Rael and Virginia San Fratello, professors at the University of California Berkeley, and San Jose State University, strive in their projects to design and create 3D printed environments for the modern age, with a motivation to ensure sustainability. Emerging Objects’ Cabin of Curiosities. Photo via Emerging Objects. 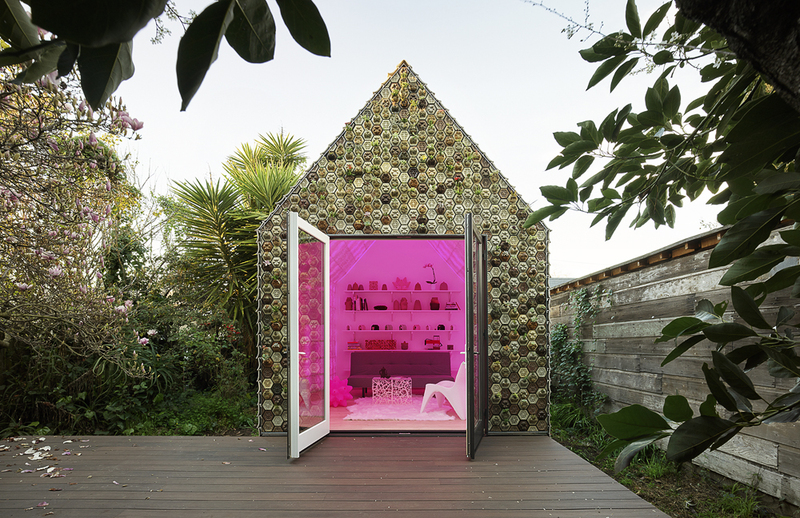 With these objectives in mind, Cabin of Curiosities was composed of 4,500 3D printed tiles, either planter tiles or “seed-stitched” tiles which create both a modern and sustainable product. 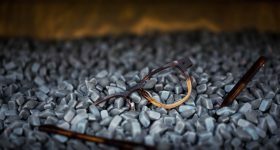 The company is also fully committed to expanding its manufacturing to promote a sustainable future. 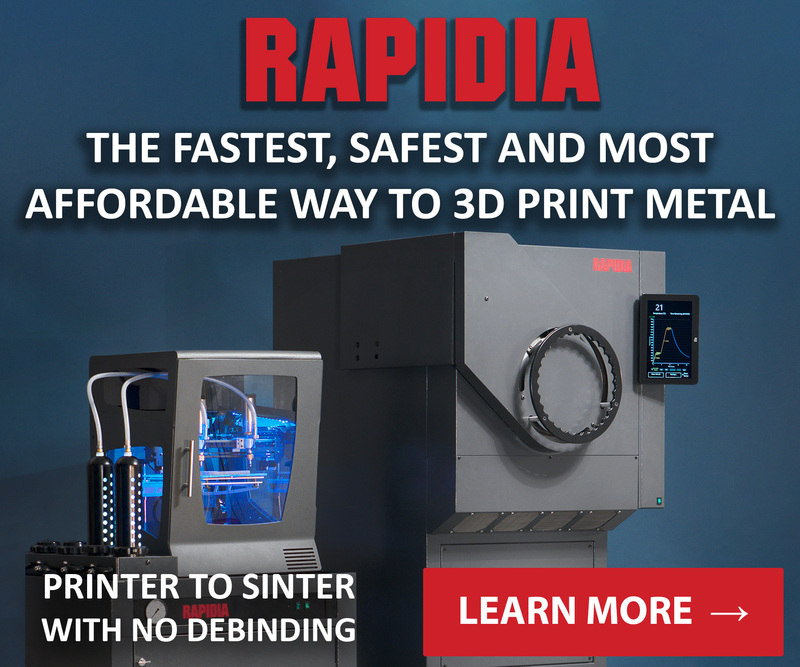 It has partnered with 3D Potter to ensure it is able to manufacture on an industrial level and already has the capabilities to print thousands of tiles per today. 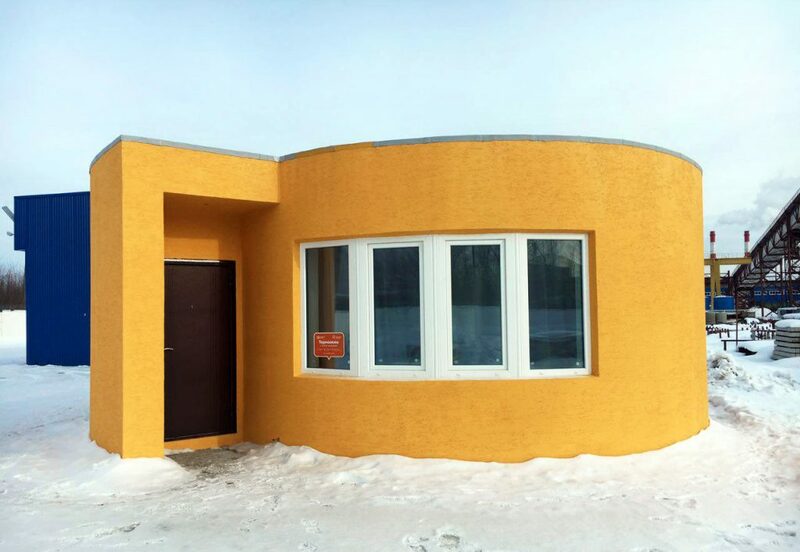 Having previously made the first 3D printed house in the United States, Apis Cor, a Russian 3D printing company, successfully built a house in 24 hours in Stupino, Russia. 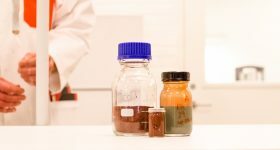 While unconventional, this method meant Apis Cor could provide the correct insulation for a typical Russian home. Continuing with unorthodox methods, the structure of the house was made by placing horizontal fibreglass reinforcements in the walls and the flat roof design was a way to protect the house from heavy snowfall. 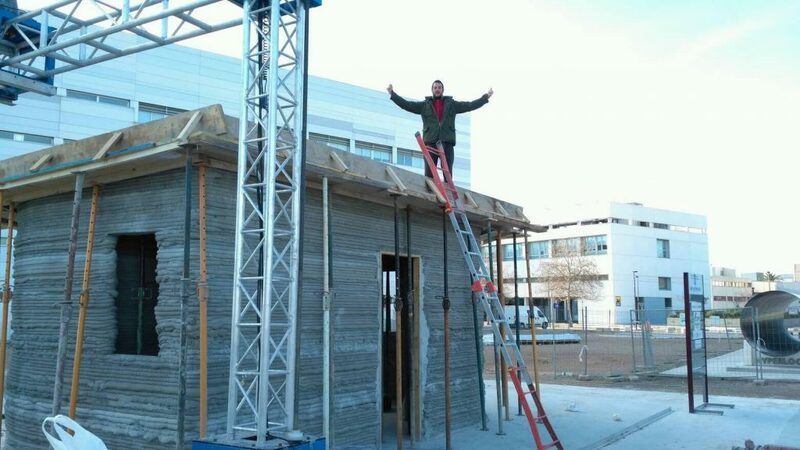 Believed to be the first 3D printed house in Spain, a bungalow was created at the Technical University of Valencia (UVP) by spin-off company Be More 3D. 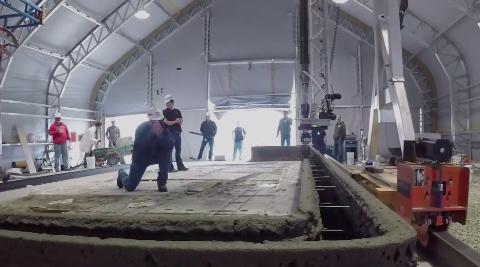 Produced in only 12 hours, this project introduced Be More 3D to the 3D printed construction industry. 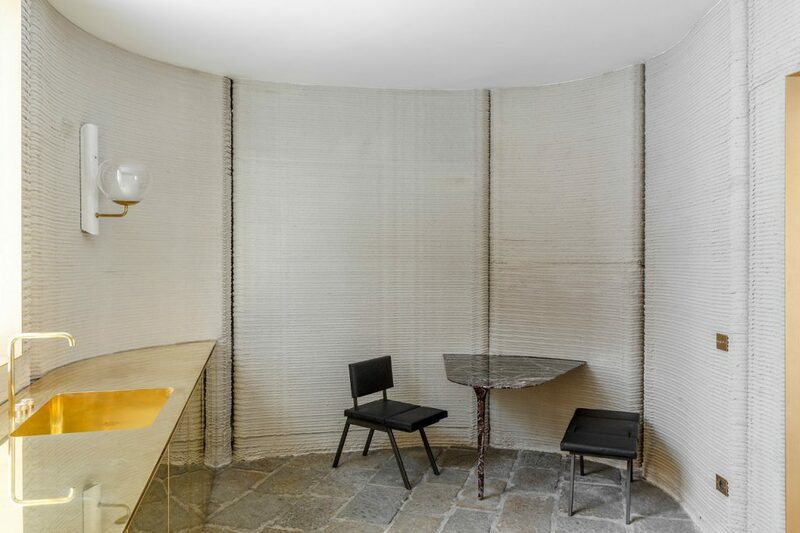 Founded in 2014, by Vicente Ramírez, J. Guillermo Muñoz, J. Luis Puchades and Joaquín Martín, Be More 3D uses a material extrusion-type technique which takes reinforced cement as the primary feedstock. 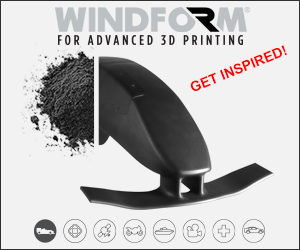 The cement extruded in this process is done so by the company’s patented 3D printer setup. 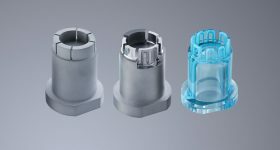 This system is effective as it “reduces the costs of manufacturing houses by up to 35 percent,” according to CEO Ramirez, whom also believes the production can further be accelerated to just 8 hours. 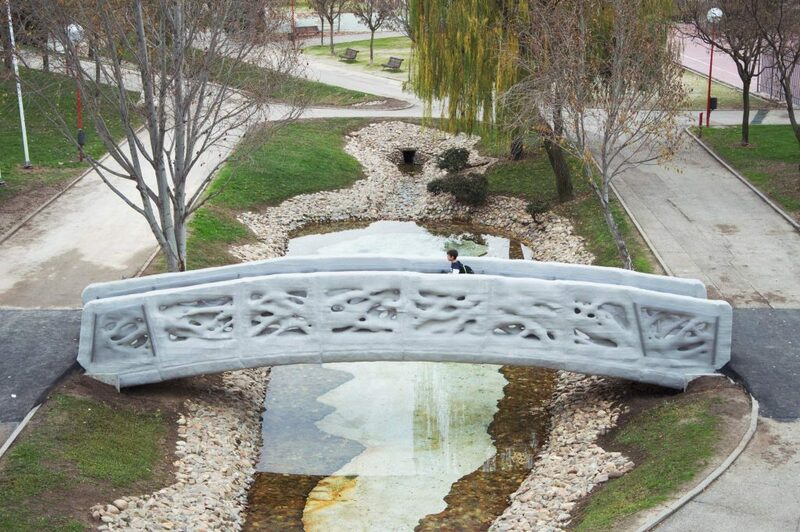 Installed in a park south of Madrid, the first 3D printed bridge, in Spain and potentially the world, was created from a collaboration between the Institute for Advanced Architecture of Catalonia (IAAC) in Barcelona, Spain, and ACCIONA, a company dedicated to Spain’s sustainable infrastructure. Fully functional, the bridge arcs above water without a central support column. The bridge’s use of micro-reinforced concrete adds to its mechanical strength as it is able to provide the necessary support without forms of extra internal support. The bridge’s design was influenced by IAAC’s Barcelona origins specifically the infamous fluid and organic styles of architect Antoni Gaudi. The influence of these classical designs resulted in the bridge having a organic characteristic, illustrating the skill of 3D printing to craft mechanically yet express human ingenuity. 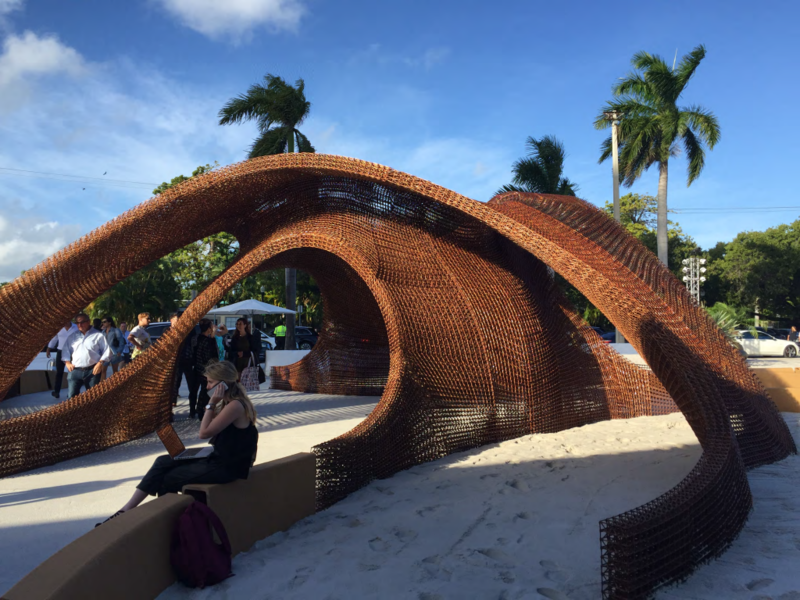 In 2017, an attempt to create the world’s largest 3D printed pavilion, “Flotsam and Jetsam,” was displayed at Design Miami . Flotsam and Jetsam was 3D printed and installed by Tennessee 3D printing construction company Branch Technology and designed by New York architecture firm SHoP Architects. 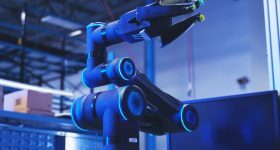 Branch Technology was selected by SHoP to provide the manufacturing for its technology Branch’s Cellular Fabrication (C-Fab), which uses robotic arms to 3D print mesh-like structures. Another angle of the Flotsam and Jetsam design. Photo via Branch Technology. 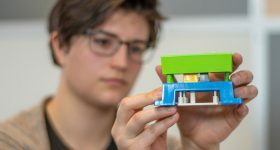 The Mediated Matter lab at Massachusetts Institute of Technology (MIT) has demonstrated its ability to 3D print large-scale structures. To do so, a robot arm mounted on a vehicle administers a nozzle. The nozzle then distributes an expanding foam, which forms layers that are then filled with concrete. 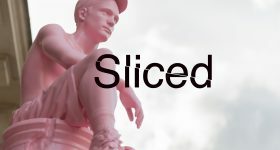 Mediated Matter used this method to 3D print an architectural-scale hemi-ellipsoidal dome section in under 13.5 hours. 3D printed architectural-scale hemi-ellipsodial dome section. Photo via Science Robotics. The Digital Construction Platform 3D printer printed the “world’s biggest bot-made building” with dimensions of 14.6-m-diameter by 3.7-m-tall. The laser on the tip of the robot arm, which measures the arms’ position is what enabled DCP to be so accurate. This development allows unique building designs to be created quickly and efficiently for the same cost as ‘regular’ buildings. 3D printing, by combining creativity and sustainability, is reshaping both the methods and the means of architectural design to create these cutting edge feats. Want to work with us? 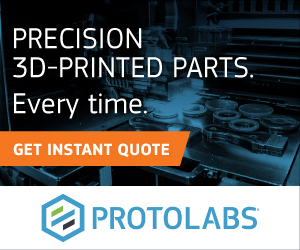 Sign up to 3D Printing Jobs to post and find new opportunities near you.